When was the last time you took a ride just for the fun of it? Take some time out to tour New York and enjoy our state’s beautiful scenery or let someone else do the driving, or flying, or steering . . . You have lots of choices when it comes to planning a New York tour. Say you want to drive yourself? The 14 Adirondack Scenic Byways all lead to breathtaking, historical or cultural excursions from battle re-enactments to celebrations. If you want a ride that will take you places, choose a bus or motorcoach tour: hope aboard a double-decker for a New York City tour or take an upstate route to revel in a scenic tour. Many companies plan their trips around special events so you get to enjoy the ride and not miss out on the great fun! From historic home celebrations that open their doors for tours to cruising the waterways from the Hudson River to the Great Lakes, you’ll find many events and reasons to celebrate your New York State vacation. Special dinner and scenic cruises are available, where you can take in spectacular scenery and perhaps learn a few interesting historical facts. Many of our festivals are located on our mountains and you may have a chance to take a gondola or zip line ride while you are there. Hot air balloon events are found throughout the seasons, so sign up early for a sky-high ride. Trains are definitely part of New York’s rich heritage and are still in use bringing visitors a unique opportunity to travel across the state. 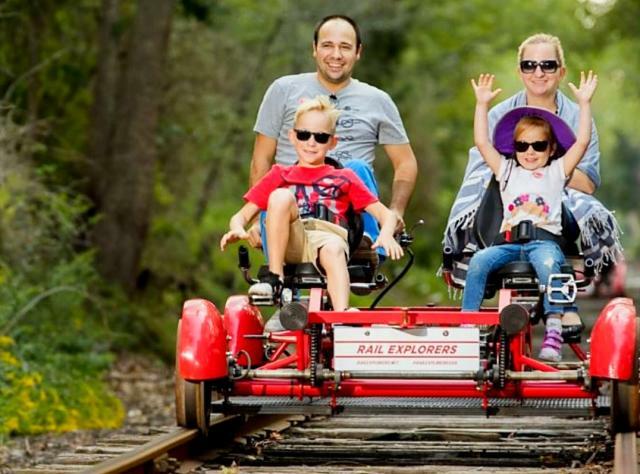 Special events can include leaf-peeping, train rides, and even a Polar Express! Of course, you can also sign up for walking tours. You’ll be getting some exercise at the same time so you won&apos;t feel as guilty about that stop at the homemade candy shop!